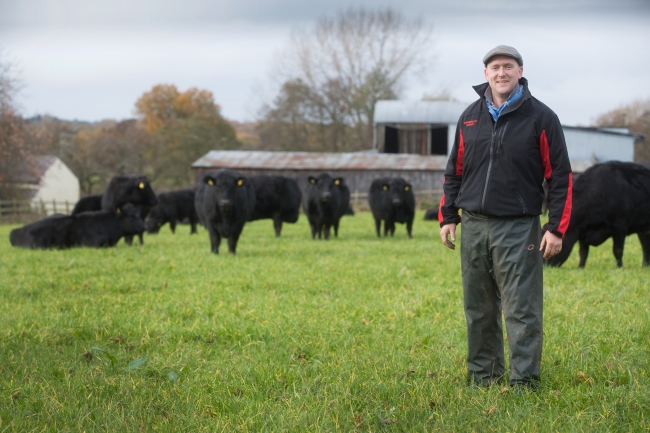 After leaving the family farm for a career in construction, AHDB Beef & Lamb Strategic Farmer Ian Norbury has recently returned to farming to concentrate on making his business more resilient for the future. Dairy Farm, in Mobberley Cheshire, has been in Ian Norbury’s family since 1963 and was originally run as a dairy unit by his mother and father. After struggling to make enough money from the dairy business, Ian’s father decided to concentrate on finishing his Aberdeen Angus cattle. Five years ago, after working in construction, building farms and parlours, Ian decided to give up his employment and return to running the farm. Having moved back into the farmhouse where he grew up, Ian now works full-time alongside his father to look after the 250 acres of land, located close to Runway 2 at Manchester Airport. “Currently, we’re running 45 suckler cows, with 75 per cent of those Angus and the remainder being Simmentals. 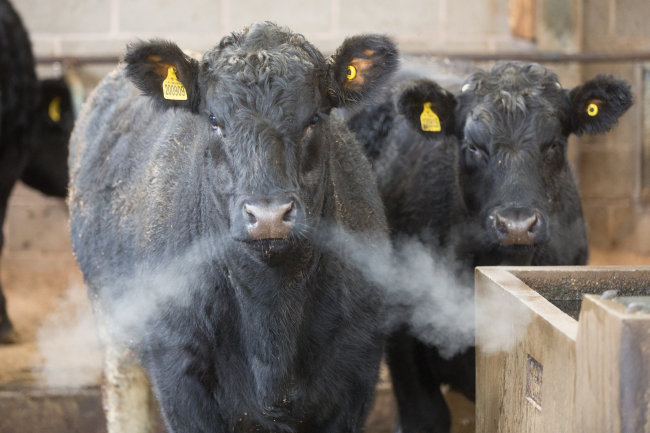 We also have 25 pedigree Aberdeen Angus cows and sell Mobberley Angus bulls. We are early-spring calving and all animals go out to grass with no creep,” says Ian. Ian’s calves are weaned at seven months and then wintered into cubicles with grass silage made from high sugar grass, supplemented with a small amount of home-grown barley. In spring, the cattle are back out on grass with the aim of finishing them between 20 and 24 months. As one of 12 Strategic Farmers, Ian is now set to work closely with AHDB and industry experts to track improvements in areas including health, nutrition and genetics, with the overall objective of increasing the number of stock meeting target specification. “I want to be able to push the farm harder to increase profits. Improving our grass growth and quality is also important, because if we can finish more stock on grass, we can save money in other areas,” Ian explains. Working alongside a consultant, Ian wants to focus on improving breeding as well as looking at using EID more effectively. 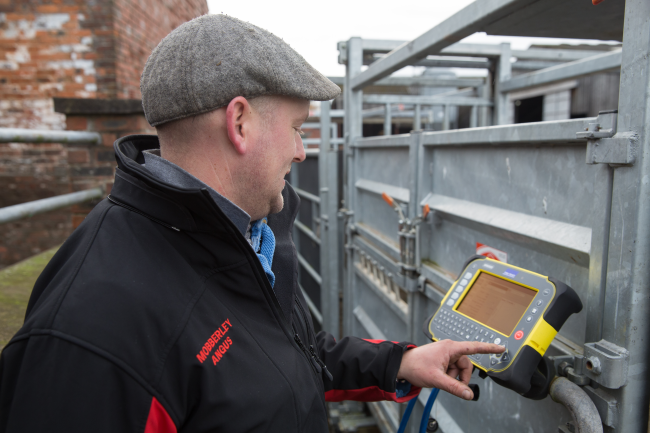 Each Strategic Farm will also be benchmarked using the AHDB whole-farm benchmarking service Farmbench and appropriate targets will be set for improving output and performance. AHDB Inspiring Farm Excellence offers the opportunity for the group of Strategic Farms to come together for events and follow each other’s progress. Commenting on the farmer-to-farmer learning opportunity, Ian says: “I wanted to be one of the Strategic Farms as I think it’s a great way for me to learn and also share knowledge with others in a similar position. It’s a network of positive people who look at how we can resolve situations, rather than sit back and complain about the things we cannot do anything about. As well as working closely with AHDB, Independent Consultant James Hadwin is helping Ian drive improvements. Working with data from Farmbench, James is looking forward to seeing how Ian can ensure he is delivering a product that the market wants, but also helping to get the farm in a strong financial position to stand up on its own. “Like many beef farmers, Ian is having to take a close look at his business. 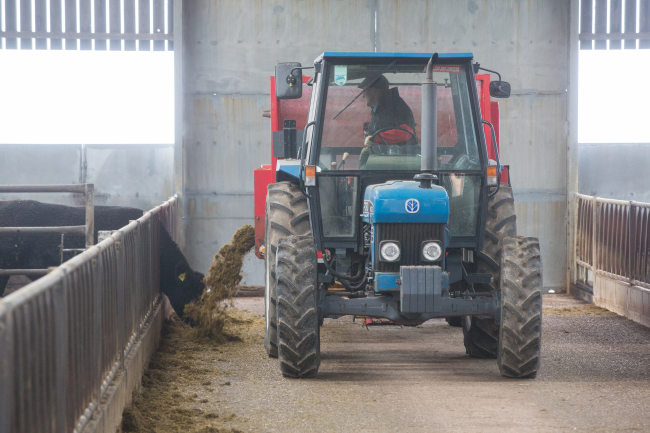 With Brexit around the corner and uncertainty around farm subsidy, Ian sees Strategic Farms as a way to look into the issues currently facing his business. “There are key areas that both Ian and I know he needs to look at improving, but seeing it on paper will help to provide focus and generate discussion with the 12 other Strategic Farms,” James explains. After the initial visit to the farm, James has recommended that they work together to put a solid grazing plan in place and ensure that the grass growth rates are monitored closely. He will be working in partnership with Ian’s vet to create health plans to ensure the animals are able to meet their full potential as quickly as possible.